Do security cameras reduce insurance? If yes, why would the insurers be willing to offer home insurance discounts for security cameras? And how much does a security system save on homeowners insurance or business insurance? In this article, we will walk through these questions and more, arming you with the knowledge you need to know about security camera insurance discounts. Indeed, the answer could be YES and NO to whether having security cameras will lower insurance, because that depends on multiple factors such as the security camera type, the insurance companies you choose, etc. Notice not all security measures lead to lower home insurance rate. The insurance companies will offer home insurance discounts for security cameras partly based on what alarm systems you have installed. In general, a carefully planned and well-integrated security system is what a home insurer would like to see. Also, most insurers demand that the security cameras should be connected to a central alarm station that offers 24/7 professional monitoring. In the event of emergencies, operators can dispatch first responders to mitigate your loss. Those professionally monitored burglar alarm systems and strong deadbolt locks may also make your home qualified for an insurance discount in the eyes of some insurance companies. For example, according to the State Farm security camera discounts policy, you might get homeowners insurance discounts if you have installed fire, smoke, or burglar alarms or any other home monitoring systems. Allstate can also offer smart home insurance discounts for security systems when your home has additional protection against fire and theft. With that being said, the best approach is to check with your insurance providers about whether having CCTV can reduce home insurance and what security systems they prefer to see. Don’t Miss: Even if your security cameras can’t lower home insurance premiums, there are also other amazing benefits and secret tricks of security cameras you might not know. In the unfortunate case that your home or business was burglarized, you’ll need to file insurance claims. Generally insurers will inspect if the damage is inflicted by a cause covered in your insurance policy. If you have security cameras installed, they would provide hard evidence to prove your claim legitimate. Let’s face it: no businessman would make a deal that brings no profit for him. So do the insurers. They are willing to provide insurance discounts for CCTV security cameras simply out of their interest. The home security statistics show that homes without security or alarm systems are up to 300% more likely to be broken into. Installing professional alarm security systems will greatly reduce the risk of home break-ins and thefts. The fewer claims made by home owners, the greater insurers’ profits — that explains exactly why insurance companies would offer home insurance discounts for security cameras. If you are a small business owner, setting up security cameras and systems can also lower your business insurance costs. With the average cost of slip-and-fall accidents reaching more than $22,000 per incident, it may cost thousands of dollars in claims against a company’s general liability insurance policy if consumers file false slip and fall scams. 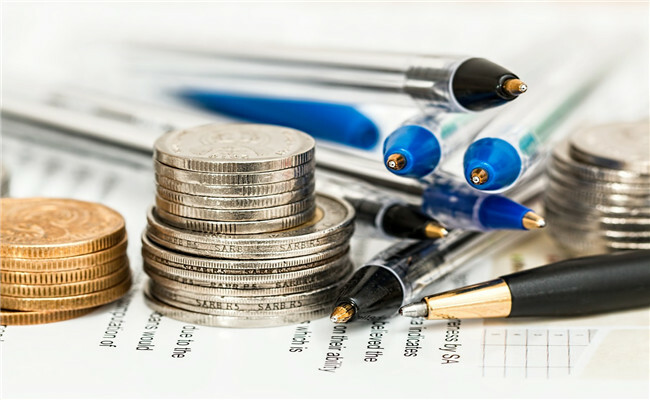 So in order to prevent against slip scams and reduce the insurance cost, many insurance companies are offering small businesses liability insurance discounts for security and monitoring devices. The specific security camera home insurance discount varies with the amount and quality of your security systems in place, ranging from 5% to 20%. For example, State Farm Mutual, offers up to 15% for a security system with central monitoring that includes notification of emergency personnel, but only up to 7% for a system with central monitoring that notifies only the homeowner. And most insurance companies will usually NOT offer a discount for an audible alarm system without some form of central monitoring. Apart from the security camera type, the insurance companies also allow for other factors to determine the final insurance quotes for security systems, including the crime rate in your neighborhood, distance from your home to fire hydrants and first responders, claim records in your area, etc. Simply put, the safer your homes are, the more likely you are going to get a cheap home insurance quote for security cameras. Remember, too, that the home insurance discounts for security cameras and systems offered by different insurance companies are not the same. Your best bet is to get insurance quotes from multiple insurers for comparison, such as Allstate home insurance, State Farm homeowners insurance discount, Nrma home insurance and then pick up the one beating other competitor’s home insurance premiums for security systems. To obtain the security camera insurance discounts, the first thing you need to do is to contact your policy provider and inform them of the presence of security cameras in your home or business. When you inquire your carrier whether your security cameras can reduce insurance, normally they would ask for more detailed information about your security cameras and demand a confirmation that you ACTUALLY have a security system installed. Note that the required “proof” can vary with different insurers. For some insurance companies, a bill of sale and the owners’ manual might be enough to land you on the home insurance discounts for security cameras. While other insurance companies, like State Farm Insurance, need a certificate verifying that you have a security system before they would offer a security camera insurance discount. After you provide the essential documents based on your carrier’s requirement, you can expect to get replies from the audit department within a few days. They will decide whether you are qualified for the security camera insurance discounts and what premium quotes they would offer. Why would you care about the home insurance discounts for security cameras? Essentially: It all comes down to how you can save money if you buy security cameras. Maybe your security cameras can reduce the home insurance premiums and small business premiums, yet it is next to IMPOSSIBLE for the security systems to “pay for itself” through the security camera insurance discounts. Don’t forget that security cameras are designed to ensure home security and provide peace of mind — that’s why you need and buy them, rather than for the sake of security camera insurance discounts. Now let’s shelve the questions about security camera insurance discounts and I’d like to present you with more shortcuts about how to save money when buying security cameras. Go for best and cheap security cameras. Get rid of the misconception that cheap is equal to low quality! Actually you can always find the security cameras that are decent in both price and quality (read this post to learn how). 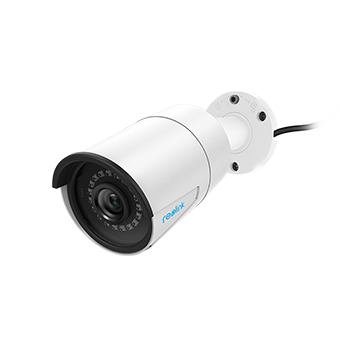 Watch the high quality video captured by the high quality and affordable security camera, Reolink Argus® 2. Select security cameras with essential accessories. You may not know that security camera accessories can also be a huge expense, such as cables, batteries, surveillance signs, etc. Selecting the top security camera brands, which offer you the essential accessories will save you big on your bill. Check the security camera warranty policy. Longer warranty period and sound after-sales service of your security camera can be of great help when you need to replace, exchange or repair your products. They can also eliminate the trouble and cost to purchase new ones within short periods. Besides that security cameras and systems may help lower your home insurance premiums, here are a couple of more handy tips for you about how to reduce your home insurance rate. It will cost you much less to pay insurance premiums annually than monthly. Though you may need to shell out one big lump sum, over the time there will be a huge discount. Make sure you don’t overestimate the value of your contents, otherwise you will pay more home insurance costs than you should. If you need both buildings and contents insurance, buy them together from one insurer, which is not only more money-saving compared with buying separately but also saves you the hassle of having to pay more than one company. The insurance companies will factor in your claim history before offering insurance quotes. If you’ve made many frivolous claims, the insurer will think you may lodge more claims later and thus increasing your insurance premiums. So do you have security cameras and systems installed in your home or business? Has your insurer provided you with security camera insurance discounts? If yes, how much does a security system save on your homeowners insurance or business insurance? Share your experience in the comment box below to join the discussion! This entry was posted in Home Security FAQs and tagged insurance discount, preminum, reduce insurance, security camera benefits.